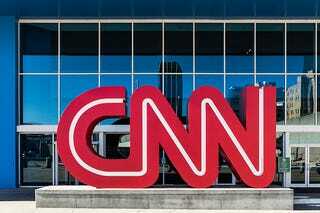 The Hollywood Reporter says that the CNN case may grow exponentially. The defendants filed a motion to dismiss the case or at least acquire more definitive statements about specific allegations. Defendants also allegedly argued that some of the claims may be barred by the statute of limitations, or by the fact that the plaintiffs did not fully exhaust administrative remedies. At that point, the plaintiffs stepped forward, telling the judge that they wished to file an amended complaint. “Since the filing of this action, counsels for the plaintiffs have been contacted by more than 175 people, both former and current employees of the Defendant, requesting to be members of the putative class action, all having similar complaints of intentional racial discrimination, discrimination impact and discriminatory practices employed by the Defendants,” the plaintiff’s motion, which was filed in March, read. Time Warner has until April 14 to respond to the motion to amend the complaint. The new development comes after Fox News was also slapped with a racial-discrimination lawsuit. Last month, two black women filed a federal lawsuit in New York claiming that they were subjected to “top-down racial harassment” in the organization’s payroll department. Tichaona Brown, a payroll manager, and Tabrese Wright, a payroll coordinator, accused now-former Controller Judith Slater of making several racially charged comments, including suggestions that black men were “women beaters” and black people wanted to physically harm white people, among other allegations. Variety reports that Slater would also allegedly rub her hands in Douglas’ hair and even kicked her in her backside as she walked down the hall. Slater is also accused of insulting Douglas’ Panamanian heritage and mocking her accent. To add insult on top of insult and injury, Slater reportedly even mocked Douglas about having a mastectomy as a result of breast cancer, calling her “one-boobed girl” and “cancer girl,” among other examples of ridicule.